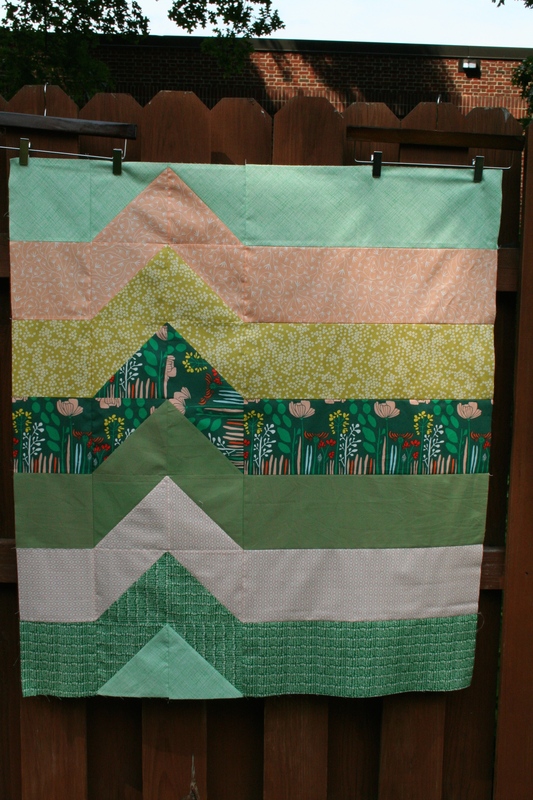 Right now I am living and breathing my Christmas quilt, which, when finished, will be a quilt made of 468 half-square triangles and 108 3.5” squares. 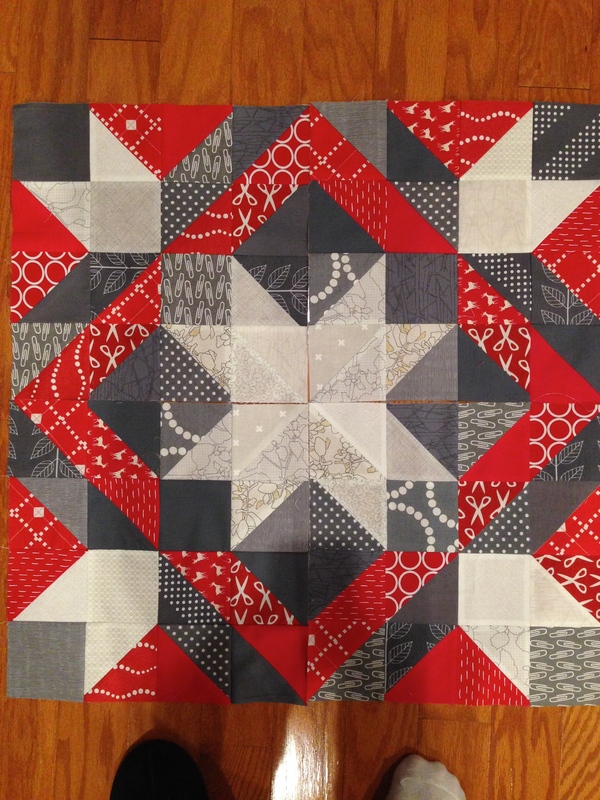 It is entirely red, white, and gray to go with my nordic-themed decorations, and was inspired by this quilt (when I saw it I was looking for inspiring star/snowflake-like patterns and I just had to see it in repeat). 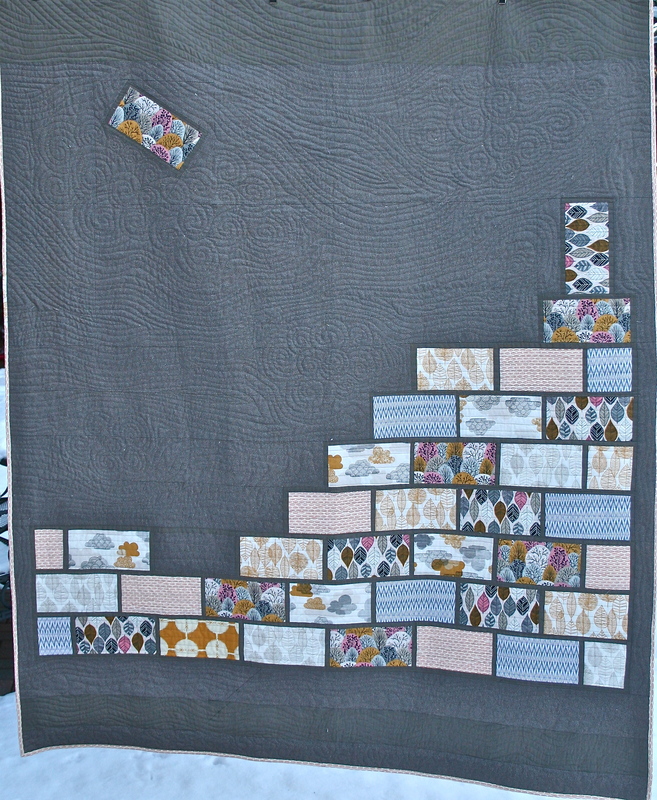 I had a lot of help— a little less than half the blocks were made by my bee mates from NJMQG. 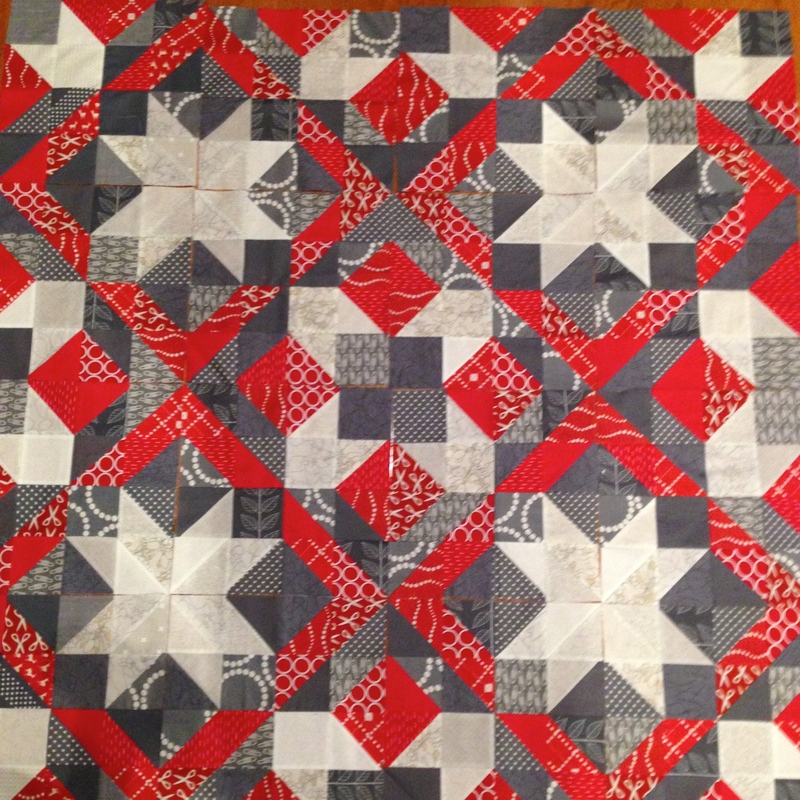 But the rest has been all me, and I’ve been hustling to get this top done so that I can get it quilted before the holidays come. I’m pushing for this week. 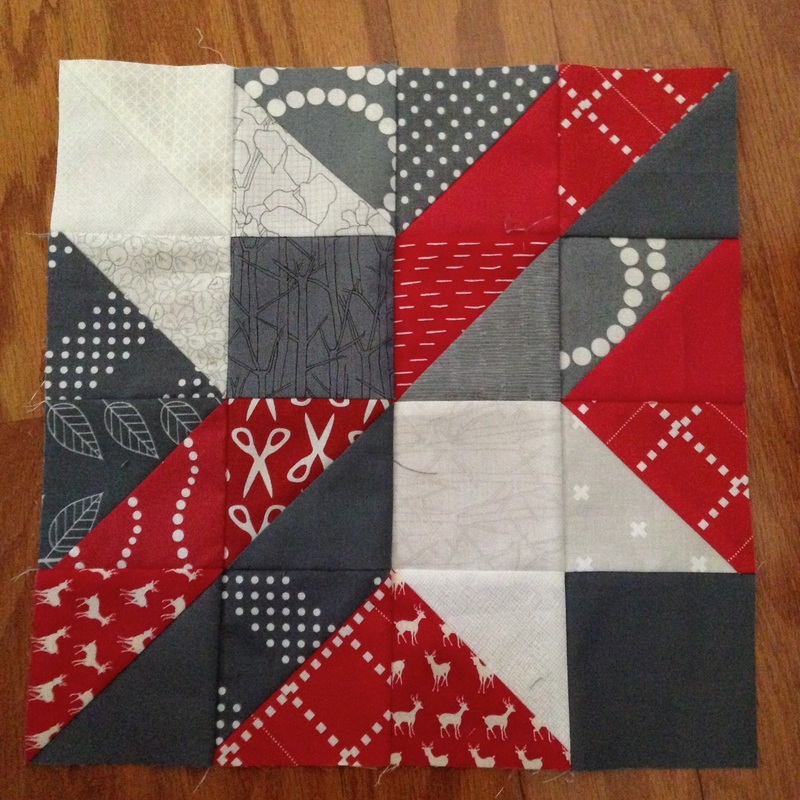 I am almost done with the last eight blocks. As I plug through something that is growing increasingly tedious, I’ve been designing and piecing a new original design on the side. I’m hoping that it will be the first pattern that I write to sell, so I’m taking lots of notes while I sew. 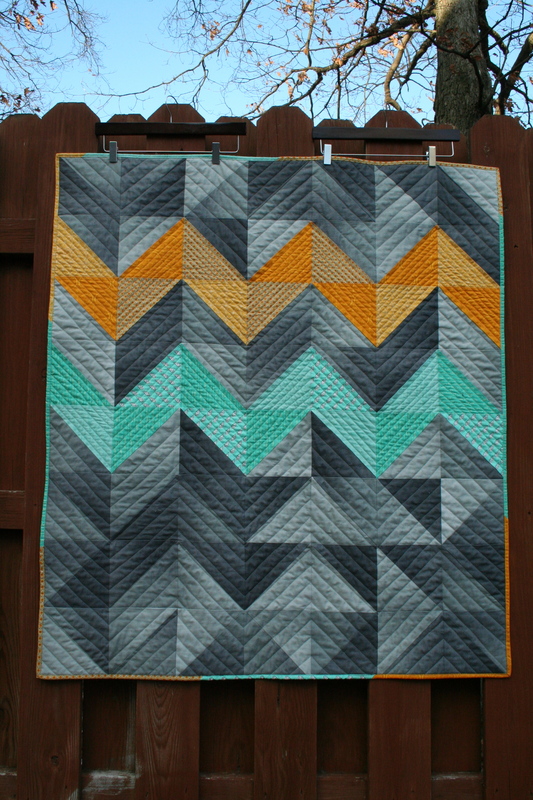 It is the opposite of elaborate and scrappy— the test block is just solids with thin piecing in Kona Snow and Tangerine. How is your work different from others’ in its genre? 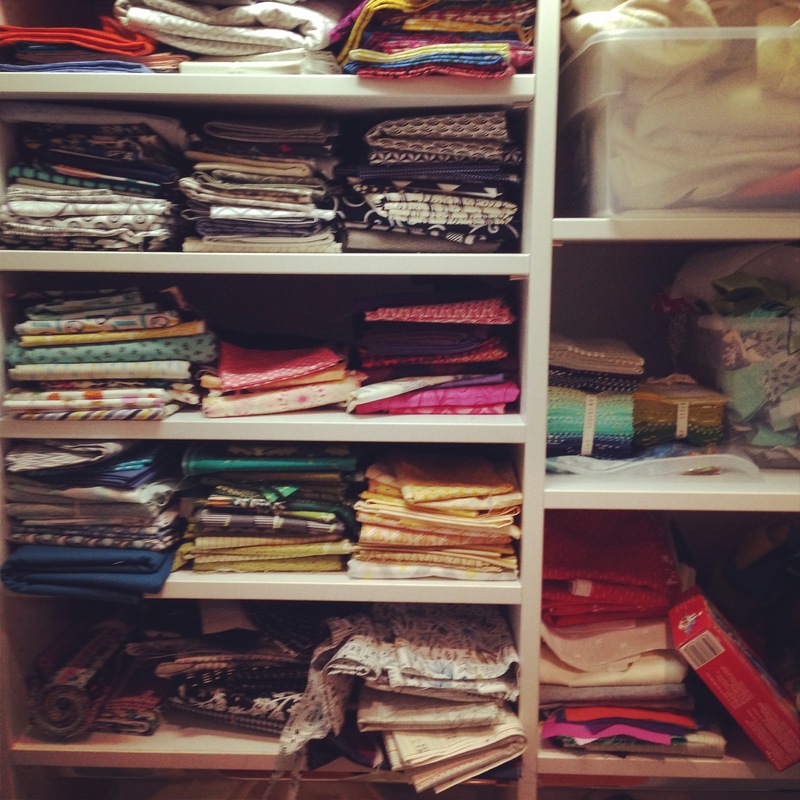 I’m not sure how exactly my quilts are different, but I do know what feels most like “my” quilting. 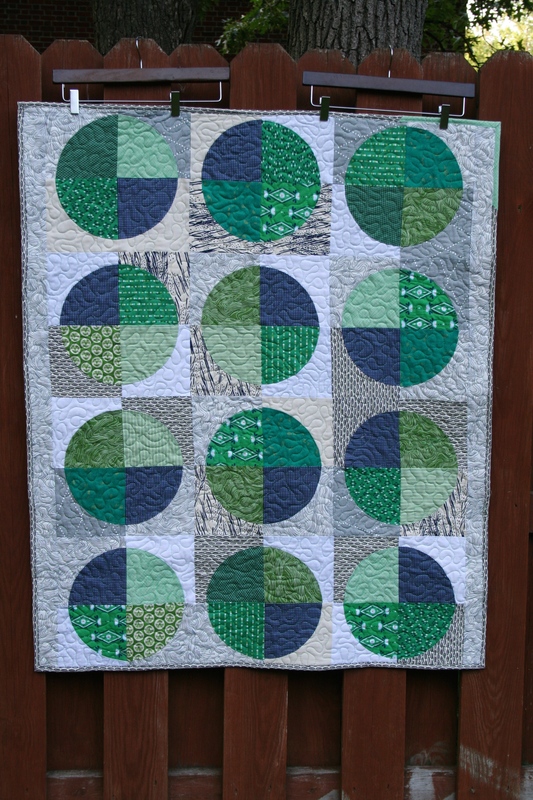 I aim for quilts that are simple and stunning. 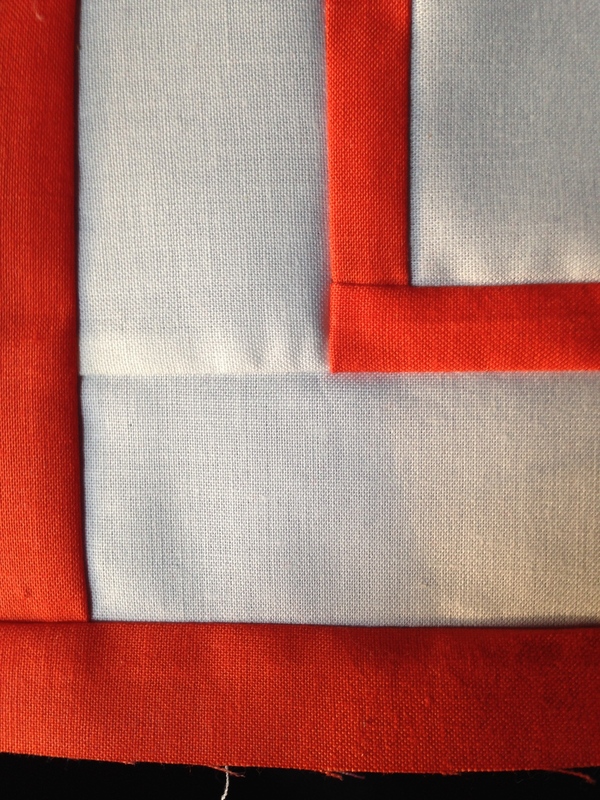 I like clean lines and bold colors, unusual neutrals and limited palettes. If I do go scrappy (and I love to, on occasion), I like to do it in monochromatic prints that blend together for overall effect. Why do you write/create/do what you do? 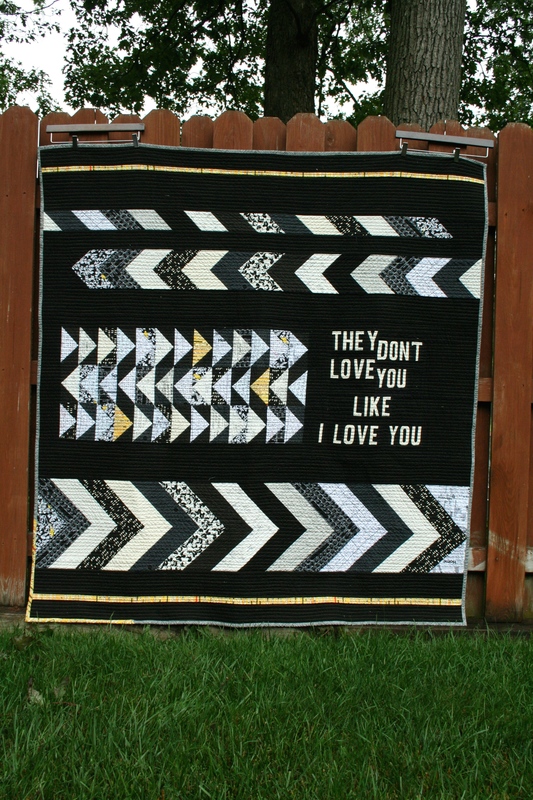 This sounds overly dramatic, but I write and design and quilt because I have to. I feel compelled sometimes, and I always feel better after I do. I have written my whole life, as a storyteller, in journals, in poems, in correspondence, as a journalist, as a critic, as a copywriter. It’s a muscle that I sometimes let atrophy and then suddenly work out again until it’s strong and limber and easy to move. This year has not been so great for me and my writing, but I’m always working on it, and I’m loving how pattern writing exercises both my quilting muscles and my writing ones. 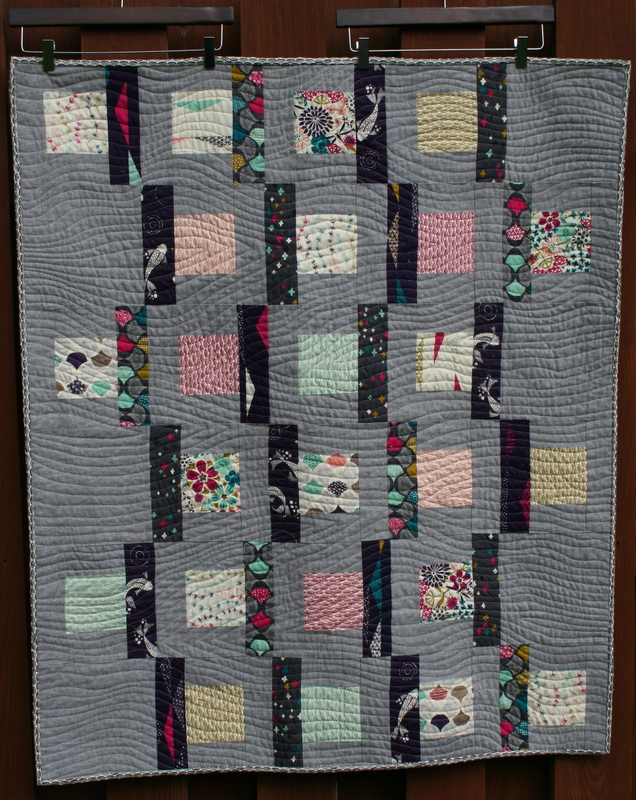 I quilt because it makes me feel productive and skillful. It fills my life with beautiful colors and beautiful people. It allows me to tuck my sons into their beds at night with my arms and something I made with my hands. Because quilting teaches me things about myself. It is fantasy, therapy, and reality check all rolled in together. 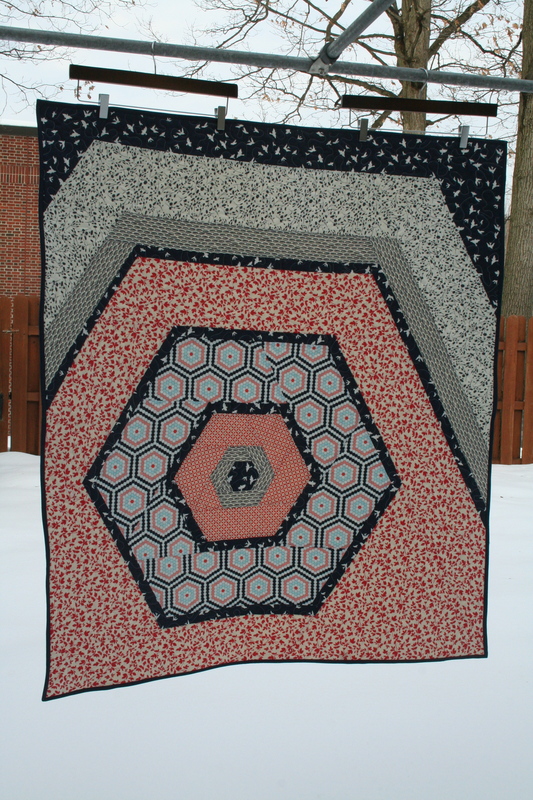 I know that I need to make a quilt when I have an idea that I just can’t shake. If the idea excites me and keeps me interested for more than a few days, I start to sketch. I make a rough sketch to start, then take it to graph paper or EQ7. When I love it there, I do the math and make a cutting list. 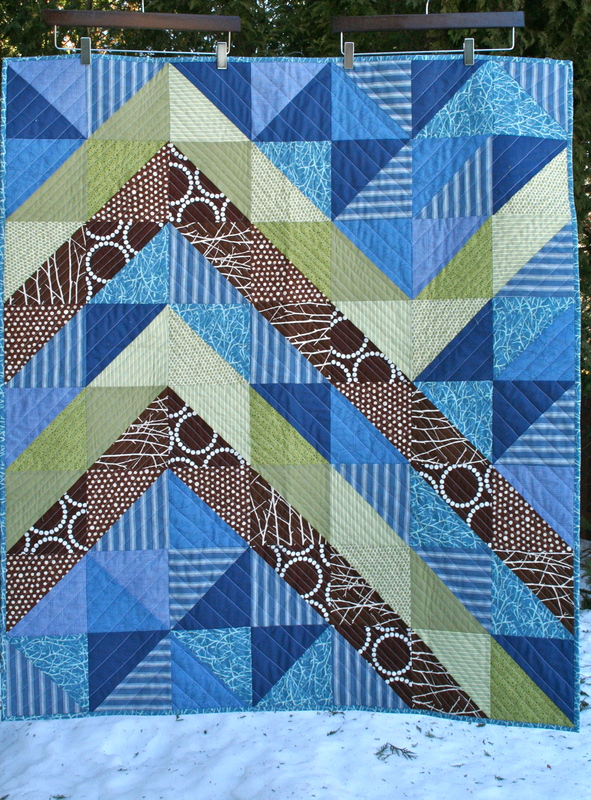 Sometimes I just improvise and play around with placement until it looks right, like I did with my husband’s quilt. I try my best to listen to my instincts. I’ve found that my best creative moments come when I get out of my own way and wait to hear that inner click that says this is a good choice. Enough about me! I’m happy to pass the blog hop along to two of my fellow New Jersey sewists who have become such amazing friends and confidants in the last year especially. Daniela from Modern Stitch Studio is also a fellow NJ mama, a partner in quilt style, a talented graphic designer and an amazing cheerleader. 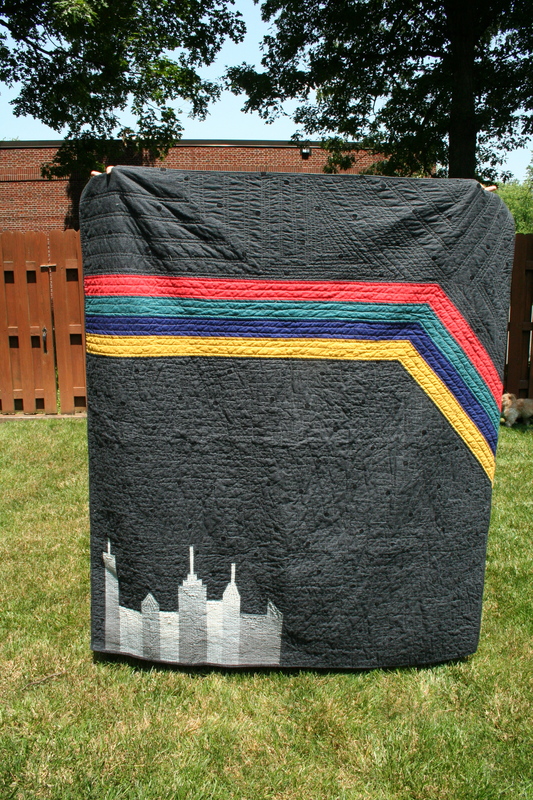 She is super connected to the modern quilting world and everything she does and makes is fueled by her passion for life. Her blog is super new and shiny, so her turn on the hop will be a great “getting to know you” post. Oh my! Thank you for the lovely introduction, Melanie! Looking forward to joining in on the hop.